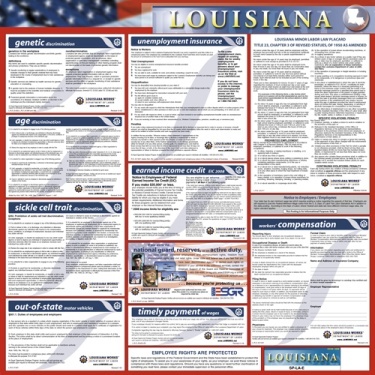 Louisiana State labor law posters are included in one space saving laminated poster. 27" x 27". Available in English or Spanish versions. Note: Don't forget to order your Federal Labor Law Posters!! The Combo Federal Labor Law Poster can be found in the Federal Employment Posters Section of our Sales Catalog.